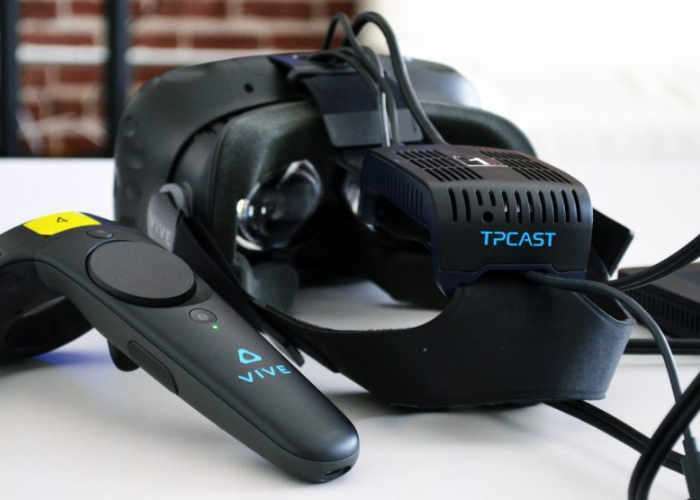 TPCAST the developers and creators of a 60GHz wireless VR add-on for the HTC Vive have this week announced a Business Edition of the technology which is capable of allowing six units to work in one local space without interference simultaneously. TPCASTHis a member of the HTC’s Vive X accelerator program has already started shipping the consumer in addition of the wireless adapter in China and is hoping to make the new wireless virtual reality technology available further afield in the coming months. More information on the TPCAST wireless VR system jump over to the Road To VR website for a full hands-on review, by following the link below. The specialist virtual reality site explains more. While it’s novel to be able to have multiple wireless VR players in the same local space tracked by one pair of SteamVR Tracking base stations, occlusion problems will become more prevalent. Of course, the Tpcast BE could also be used to enable wireless play on separate player ‘stalls’ that are right near each other, but each tracked with their own base stations.